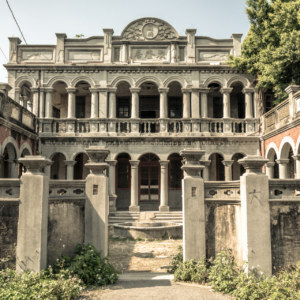 A Japanese colonial era mansion hidden in the trees in Fenyuan Township, Changhua. 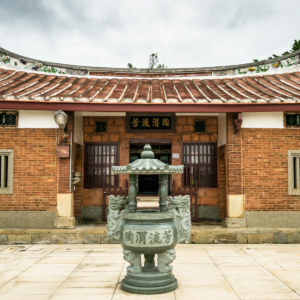 Yùměi Hall 玉美堂, also known as known as Hóng Family Mansion 洪氏洋樓, is located in Jiālǎo Village 茄荖村, a small settlement on the eastern edge of Fēnyuán 芬園 in Changhua 彰化, Taiwan. 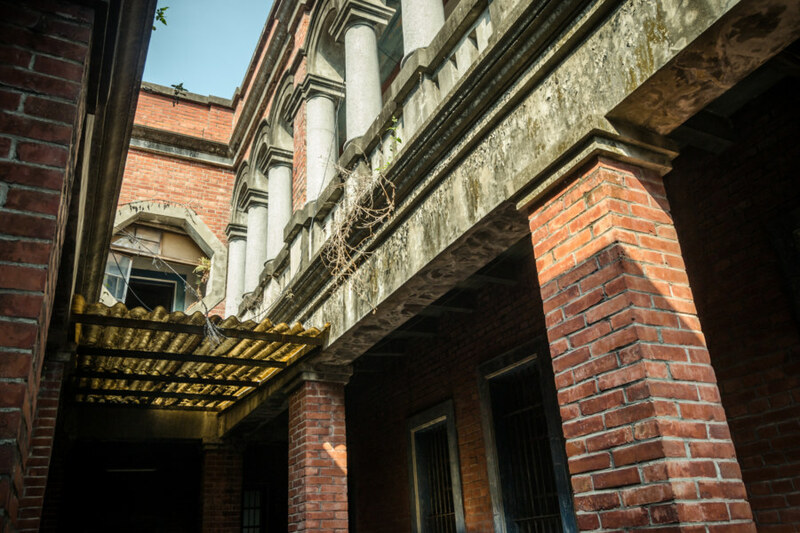 Built in the late 1920s when the village was administered as part of Cǎotún 草屯 in Nántóu 南投, it is one of only a handful of “Western-style” country manors built in central Taiwan during the Japanese colonial period (see my post about Jùkuíjū 聚奎居 for another great example). 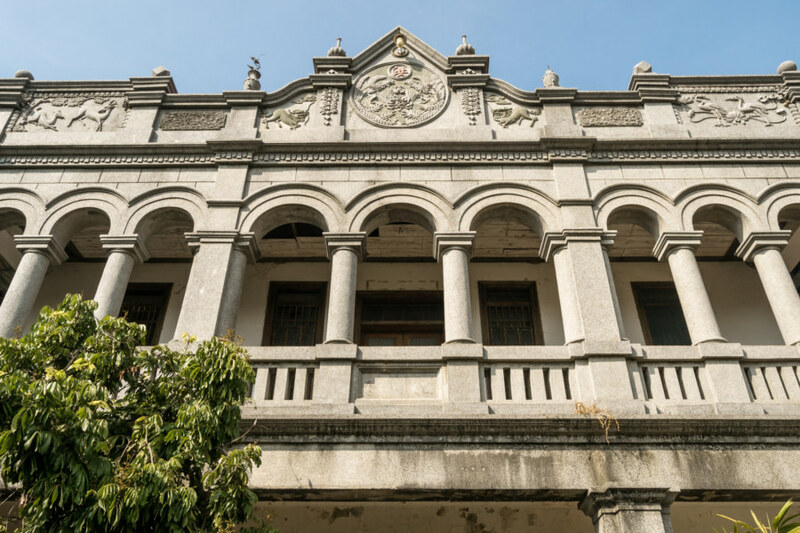 A mix of old and even older: a western-style mansion next to a Chinese-style ancestral hall in central Taiwan. 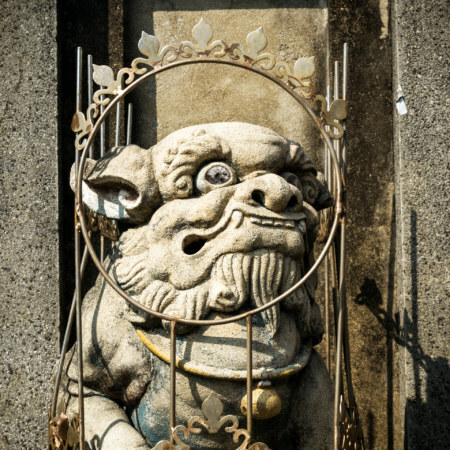 Unique in my experience is the presence of a Chinese-style ancestral shrine next to the old house, formally Chóngxīng Hall 崇星堂, or the Hong Family Ancestral Shrine 洪氏宗祠. 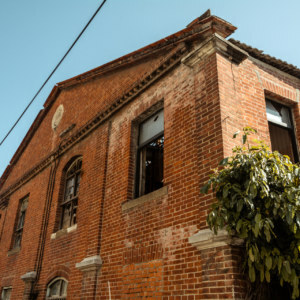 Built sometime between 1913 and 1924 (reports vary but all agree it was there before the mansion) and renovated in 1980, it was more recently damaged in the 921 earthquake in 1999—look closely and you may notice parts of the flared roof are missing on either side. Both buildings are somewhat difficult to discern from the main road running through the surrounding village. 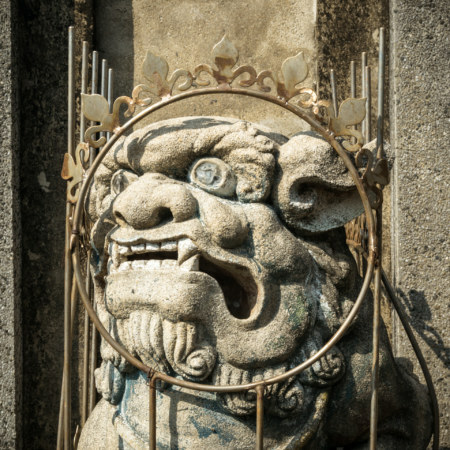 A small driveway leads to a pair of gates, one of which is guarded by stone lions supported by metal trusses. The front yard is overgrown but not wildly so. No vegetation lays claim to either building. The entire scene has the look of a place where time stands still. 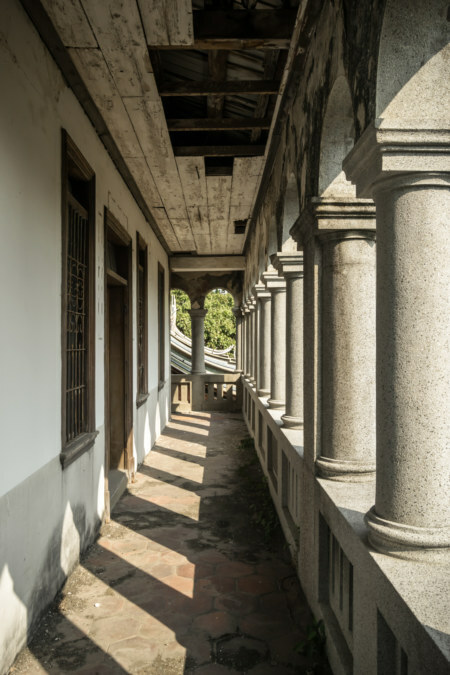 An excellent example of Japanese colonial architecture in Taiwan. I had only meant to stop by for a quick look—and a photograph to add to my growing collection—but my insatiable curiosity got the best of me and I crossed the yard to see if anyone might be home. 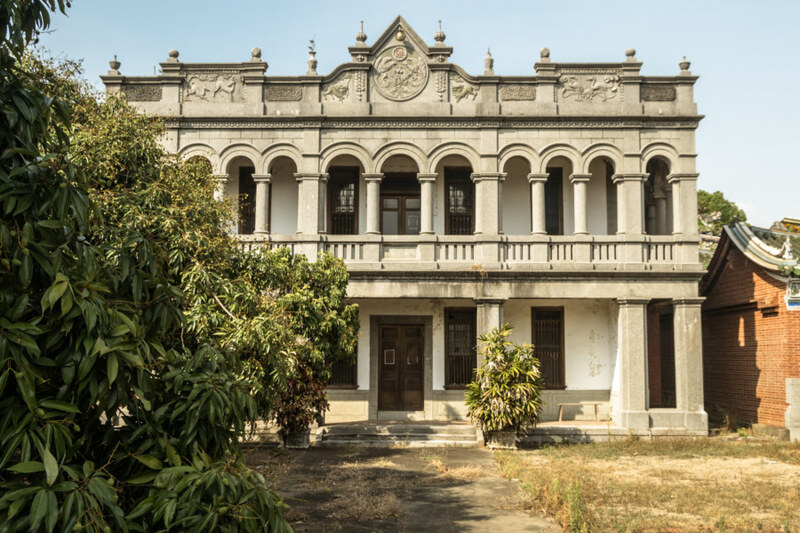 Here in Changhua 彰化 I have had good luck asking permission to take photographs of historic buildings (for instance, this gorgeous old home) but as I neared the old mansion it seemed likely that nobody had been around in quite some time. Around the left side of the building. Here you can see the columns of the balcony overhead as well as a more recent addition. To the left is an isolated wing with a kitchen, bathroom, and storage areas. Is this earthquake damage in the kitchen? 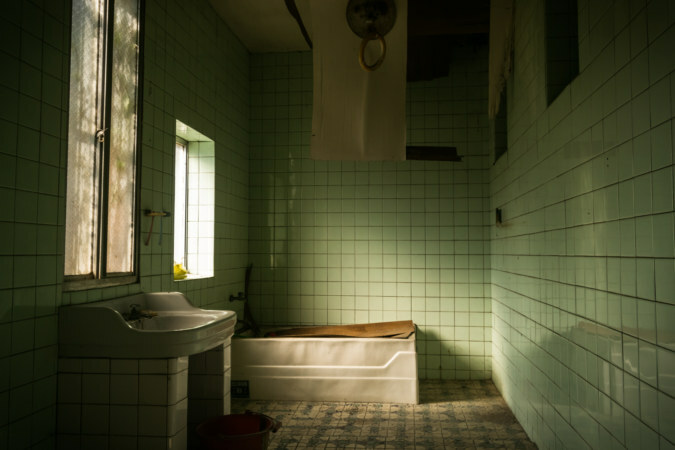 The adjoining bathroom has seen better days. Looking back at the main entrance from within the mansion. The side door was open so I wandered inside, checking for signs of occupancy. 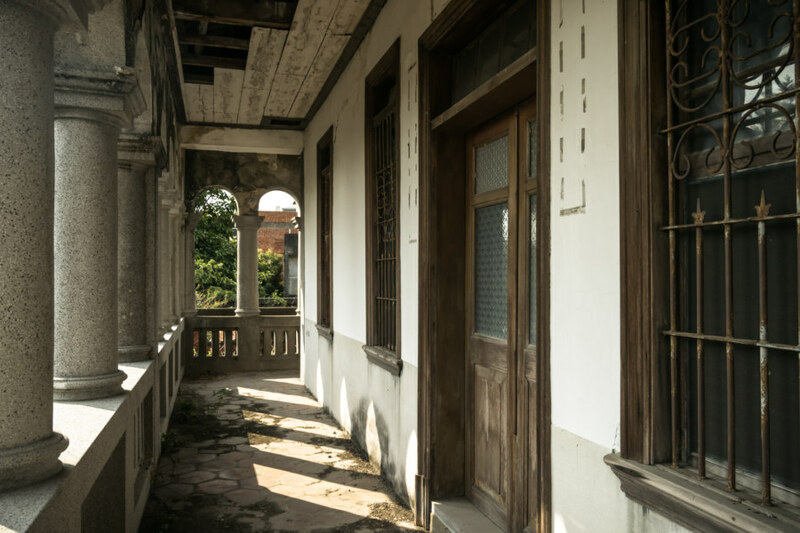 Here it was immediately obvious that the mansion was indeed abandoned and not merely neglected. There was a thick layer of dust on almost everything and hardly any trace of previous visitors apart from the occasional sign of animal tracks, most of them thin dagger-like footprints from the many pigeons roosting in the musty attic. An office on the main floor of the mansion. 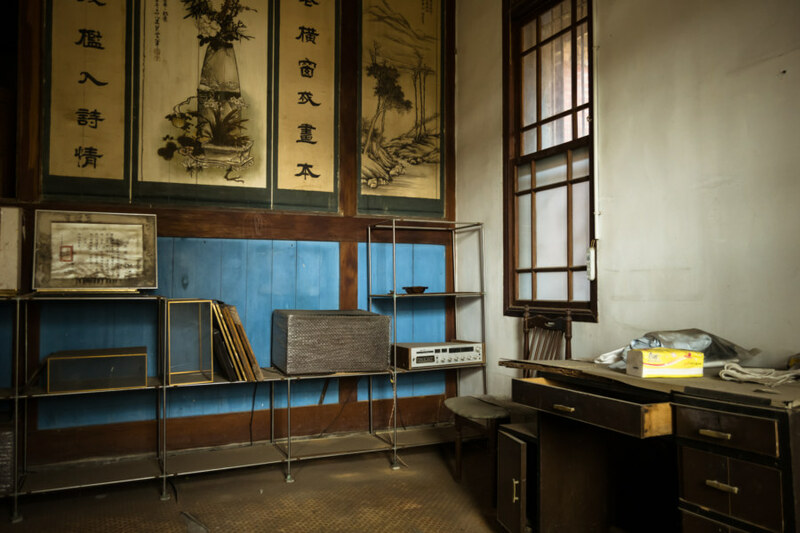 The shelf is decorated with a number of certificates and awards, a stack of community photographs, and an old stereo system. 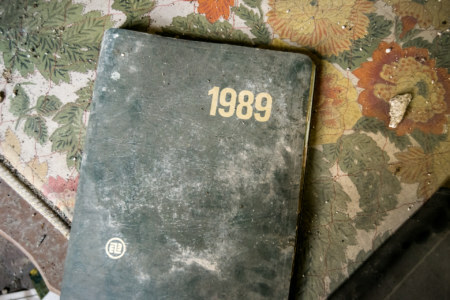 The office on the main floor contained a number of clues about the former residents1. 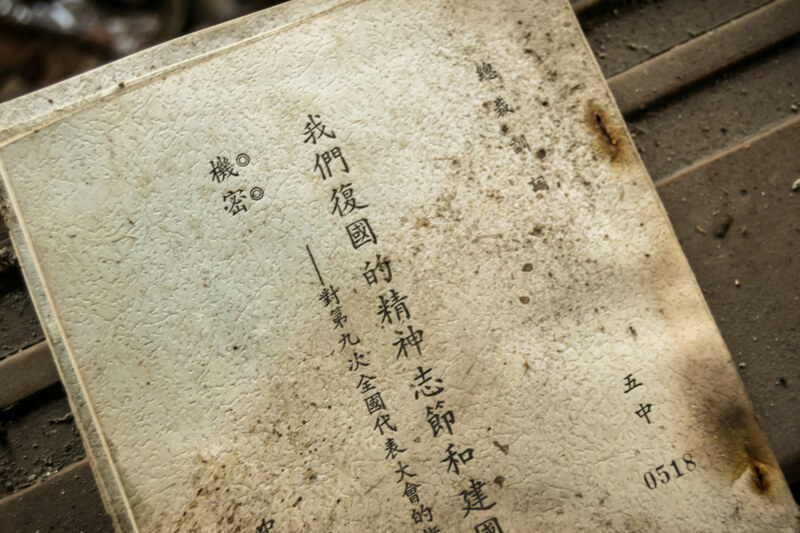 Evidently they were notables of some esteem for there were several certificates and awards, a stack of framed group photographs from the 1970s, and some kind of plaque related to a Taiwanese film by the name of Xiāodàicǎo 宵待草, released in 1987. I am not always so quick to translate when I’m on location—a lot of my research is done afterwards. 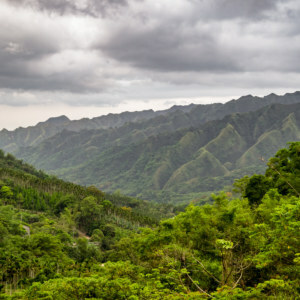 With the benefit of internet access I discovered that many members of the Hong clan have gone into business and politics, founding or leading schools and trade organizations in the local area. By the looks of it these were successful people who made an effort to give something back to the community. 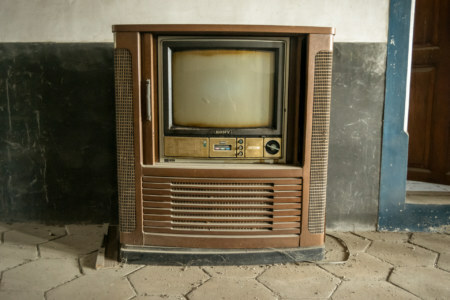 An abandoned television set at the top of the stairs. Memories of a lost childhood. 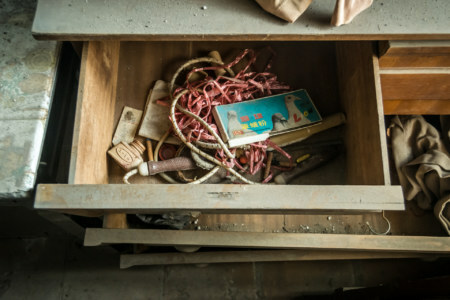 Inexplicable debris in a desk drawer. 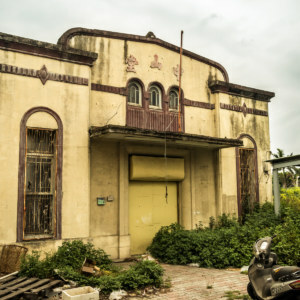 In recent months I have identified a pattern in the abandonment of Japanese colonial era ruins that implicates the incoming Kuomintang regime (see also: Yangliufeng 楊柳風 and Jùkuíjū 聚奎居). As such, I wondered how the Hong family weathered the transition from one colonial ruler to the next. Many Taiwanese—particularly those who prospered in Japanese times—were persecuted by the KMT in a period known as the White Terror. This news report suggests one member of the Hong family was sent to the penal colony on Green Island 綠島. Many other members of the family emigrated to America in the subsequent decades. From that same report it sounds like the family’s center of gravity moved to California by the mid-1980s—which would explain the present state of their old home. 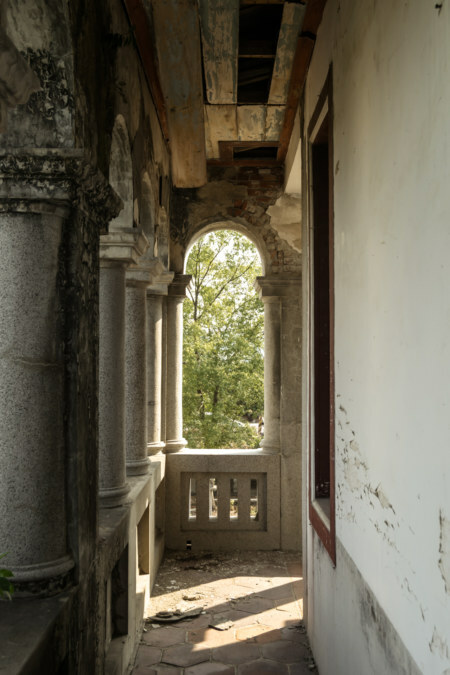 On the second floor balcony at the Hong Family Mansion. The elegant columns on the second floor balcony are one of the mansion’s most distinguishing features. 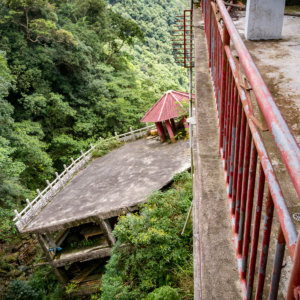 There is a long crack and unstable footing along the seam between the floor and the railing on one side. 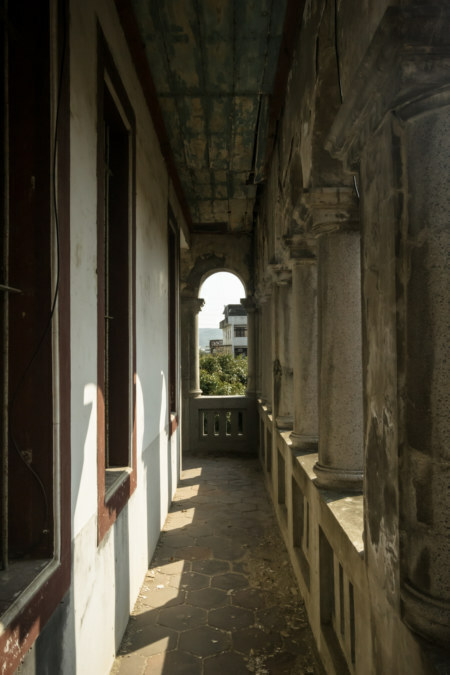 At the time I thought nothing of it—abandoned buildings exposed to the elements start to fall apart sooner or later—but one of my sources for this post states that the balcony was also damaged by the deadly 921 earthquake. Had I known I would have paid closer attention. Elegant furnishings in a bedroom on the second floor. The red hat is from a local temple in the same village. 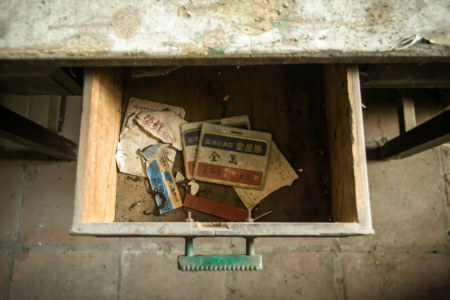 One of the bedrooms contained an interesting surprise: a copy of a “confidential 機密” general plan to retake mainland China published in 1963 by none other than Chiang Kai-Shek 蔣中正, the original text of which can be found here2. Hopefully the incredible hubris of this proposal is not lost on all who might be reading! Top secret plans to retake mainland China. 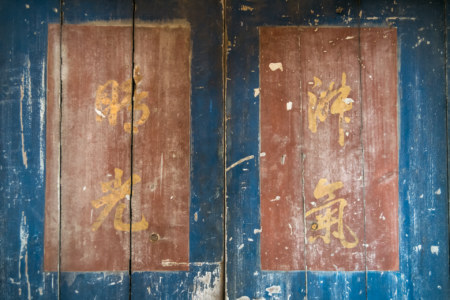 Markings on a wooden side door. One thing I struggle with when posting my explorations is the question of how much to share—and how much to hold back. I share whatever I find in commercial and industrial places but former residences are another matter. I am often stunned by what people leave behind: old letters, diaries, love notes, family portraits, entire wardrobes full of vintage clothing, mementos, keepsakes, and other personal effects. 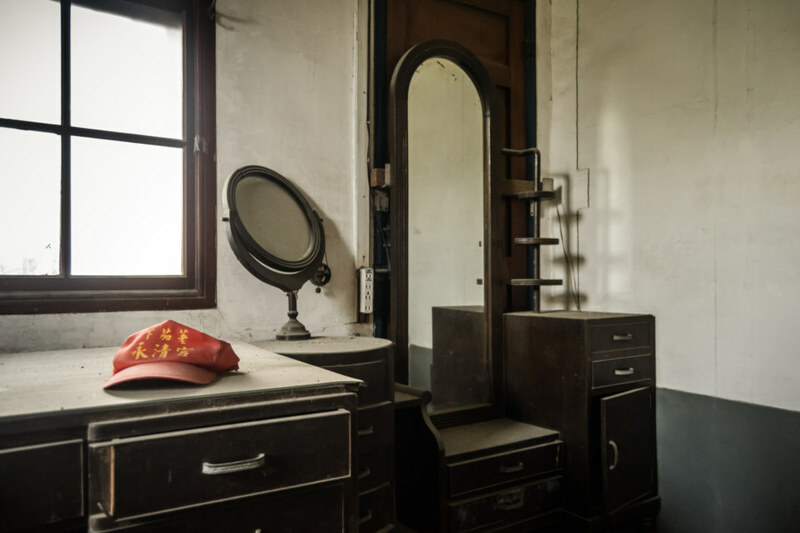 In opening up a window to the past I attempt to strike a good balance between satisfying everyone’s curiosity and respecting the privacy of those who once lived in a place (see my post about the Yinhe Road Homestead 銀河路家園 for an example of what I mean). 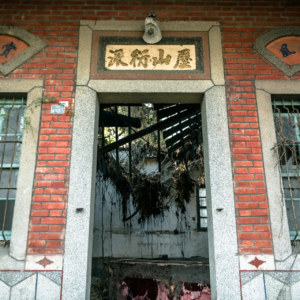 Hong Family Ancestral Hall, damaged by the 9/21 Earthquake. Nowadays I am even more circumspect in what I include in these posts. Several of my explorations have filtered back to former residents and their families. Imagine my surprise when I open my inbox and read a letter from someone thanking me for bringing back memories of a lost childhood! The world is vast but information travels. I am not a tomb raider; I don’t open locked doors or force entry and I do not mean to disturb anyone by doing what I do. 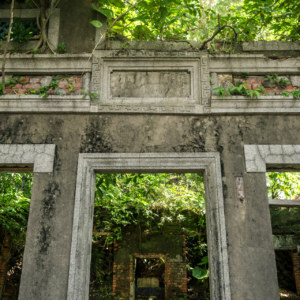 Mostly I am interested in shining a light on forgotten places that have been excised from everyday society and returned to the mercy of the elements. 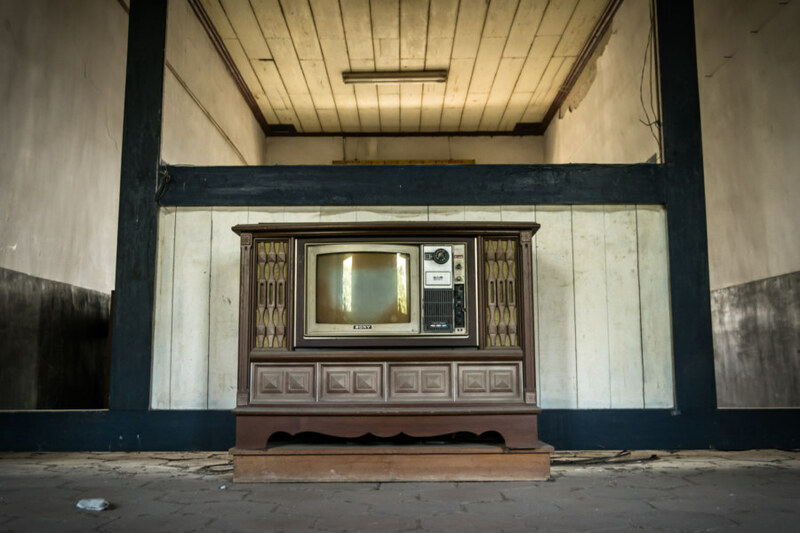 This old house was once a vital hub of human activity—now it recedes into the dusty expanse of history. 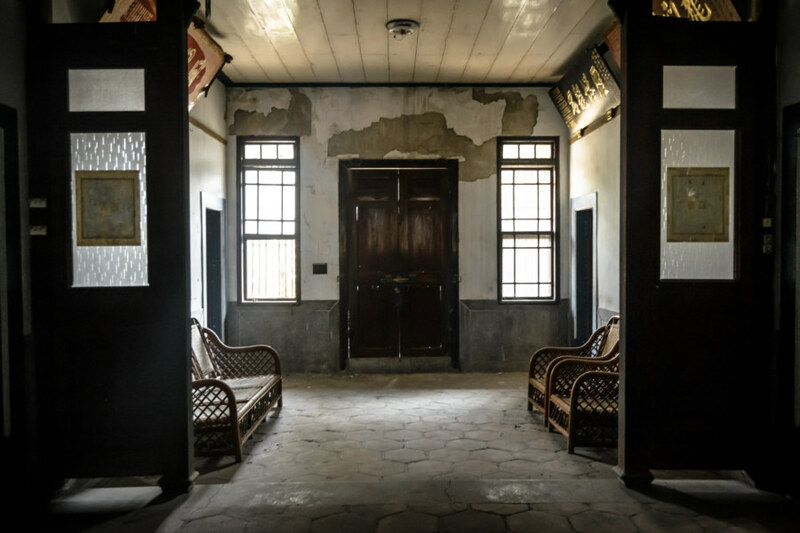 Maybe for a moment we might remember it, appreciate the beauty of its architecture, the faint traces of lives that have passed through these halls. 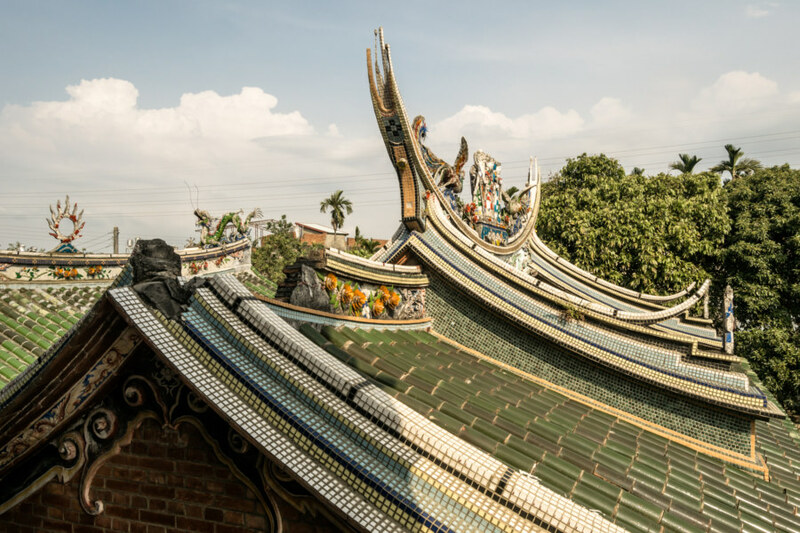 A closer look at earthquake damage on the rooftop of the Hong Family Ancestral Hall. The piece in the foreground is missing. One thing I won’t show very much of is the interior of the ancestral shrine. I don’t know too much about how this sort of thing works but I would assume that family members come and pay their respects when they are in the area. I had a quick peek inside and decided I would rather leave it in peace. 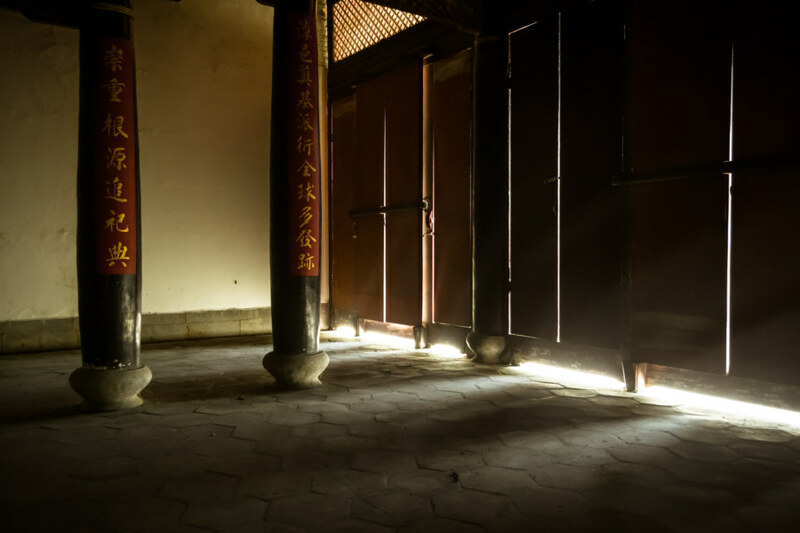 Sunlight seeps into the ancestral hall. Naturally there is a fair amount of curiosity about this beautiful historic home. More photos and commentary in Chinese can be found here, here, here, and here. Please be respectful of the space if you pay it a visit. Those pictures are amazing. Thanks for sharing. 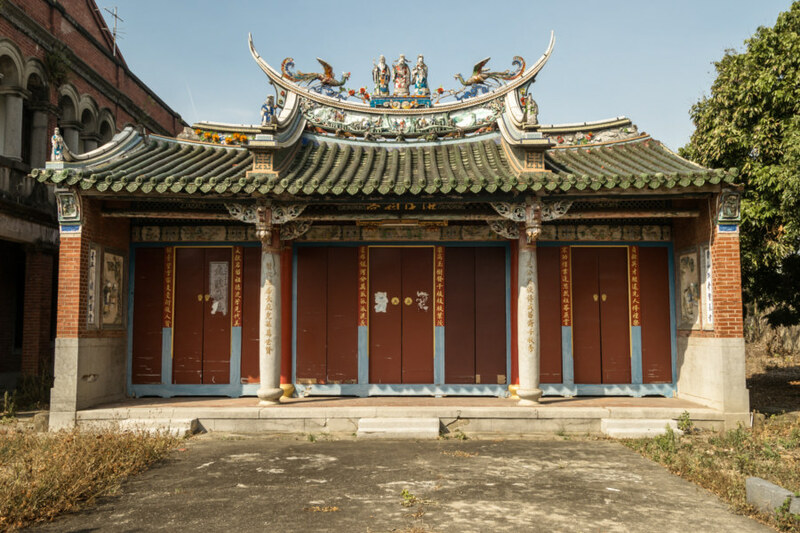 Very nice work, as you’ve noted yourself before, central and South Taiwan has a lot of pretty unknown historical treasures, a lot more interesting than the North! 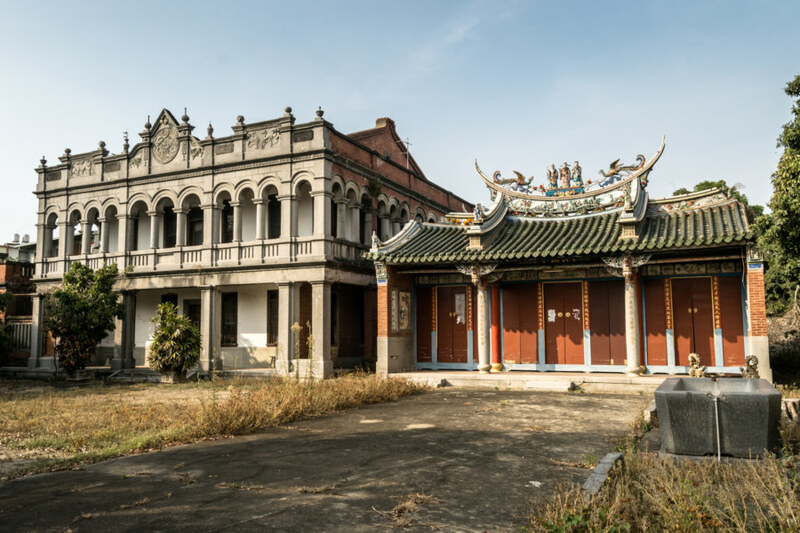 The lack of recent development of places in Changhua and Yunlin give a great window to the past for those of us who didn’t grow up in Taiwan or the younger generations. It really was another time and place and the pictures bring that back to us. 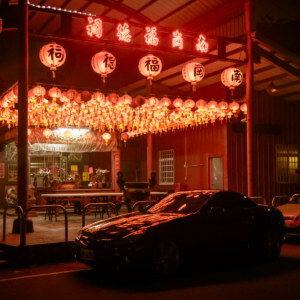 I don’t think Taiwanese in particular seem to have much attachment to their residences in Taiwan, and wealthy people in Taiwan have tended to treat Taiwan as a place to make money but not to treasure. I wouldn’t blame KMT for these wealthy families taking their moeny overseas and emigrating and abandoning their roots and their history. 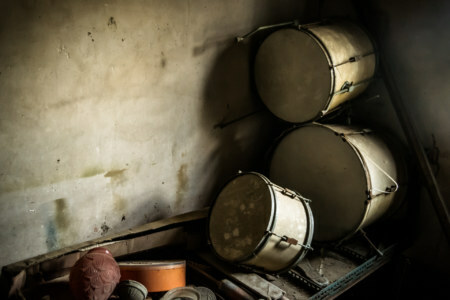 I have explored a number of abandoned houses and read about a great deal more. 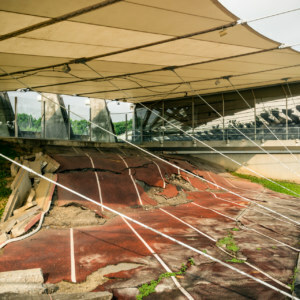 Most of them are abandoned from early 1990s to early 2000s (Many partly due to 921 earthquake damage). This is pretty much near the end of the KMT oligocratic rule. So blaming them is quite weird. A much better explanation is rapid urbanization during the modernization in the past 30 years. 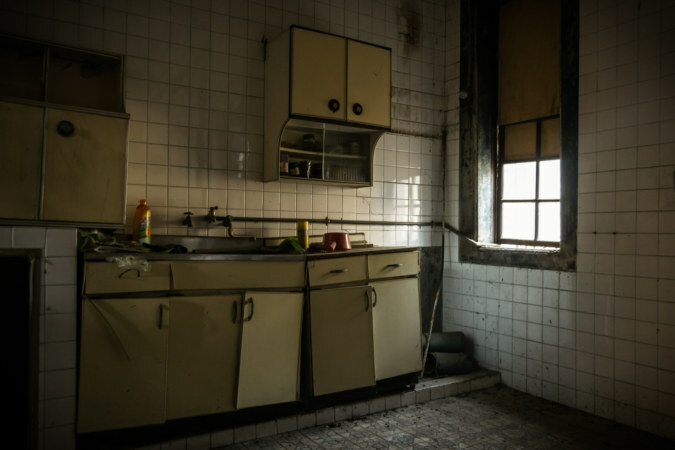 As young people move to the cities and elders die, the houses got abandoned. 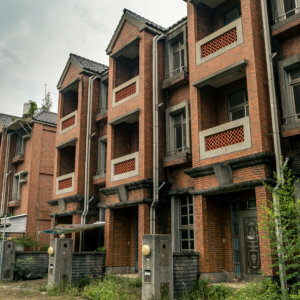 DannyH: These great old homes are abandoned for many reasons but the KMT is often involved in some capacity as argued here and in the post about Jukuiju (which was reputedly occupied by KMT soldiers). But of course you are also right, the process of urbanization itself has made a contribution too. My mother-in-law grew up in this house. I’m not sure how she found your website but she just sent me the link. I had only seen pictures of the outside so seeing such high quality shots of all the rooms is fascinating. Thank you for sharing. This mansion was designed and constructed by my wife’s Grandpa and his eldest son. 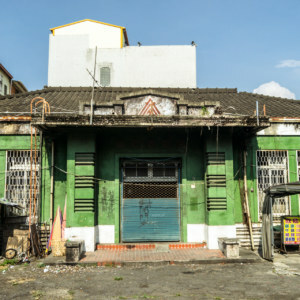 The Hong family moved in for occupancy around 1922. My wife grew up in this house in the 1940’s and 1950’s. Now my children and grandchildren in the USA are visiting this ancestral home. Thanks for your excellent observation and report.